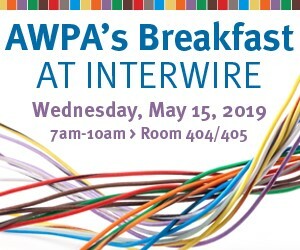 If you are interested in joining the American Wire Producers Association (AWPA), please read the brief description of the five categories of membership. AWPA is a trade association in which the members are companies. Individuals who participate in AWPA programs and activities are employees of member companies in good standing. The association encourages an unlimited number of representatives from each company to become involved in all aspects of association activities, including leadership roles, serving on a committees, contributing to data gathering programs and attending industry meetings sponsored by AWPA. Once you have determined the membership category for your company, open the appropriate link here and fill in the application form (PDF format). If you have any questions about the right category for your company, or about membership in general, please contact the AWPA Staff. For current membership applications, please contact the AWPA office at info@awpa.org. Send your completed application to the AWPA office; by mail (with payment) or email info@awpa.org (we’ll send an invoice). See the payment address below. Any steel wire drawer incorporated or doing business in the United States is eligible to become an Active Member, provided such a wire drawer purchases, and does not manufacture steel wire rod, nor is owned or controlled, directly or indirectly, by any person, firm, corporation, or association which is engaged in the manufacture of steel wire rod. An Associate Canadian/Mexican Wire Member is any person or firm which would otherwise be an Active Member, except that it is located in Canada or Mexico. An Associate Rod Supplier Member is any person, firm, or its authorized representative, which in the ordinary and regular course of business supplies steel wire rod to any person or firm involved in the drawing of steel wire. 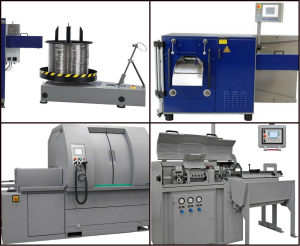 An Associate Supplier Member is any person or firm which in the ordinary and regular course of business supplies dies, machinery, or related equipment and/or services used in connection with the drawing of steel wire.